Upon receiving this book I wasn’t sure whether or not I would enjoy a story like this; only because it is coming from the man’s point of view instead of the woman’s about how to connect with your child and how to save your marriage at the same time. Once I read the first 50 pages however, I couldn’t put it down. I thought it was a nice change to see “Douglas” trying to keep his marriage intact instead of his wife “Connie” having to do it all herself. I felt sad for “Douglas” as well because I could imagine how hard it must have been on him to try and connect with his son, who didn’t seem to really want to try for a good portion of the story. I know what it’s like to try to be your child’s parent and friend at the same time; so I was really able to feel his frustration and sadness. There were a lot of time when I would be reading and I would start laughing because of certain situations the main characters would end up in. There were quite a bit of moments as well where I wondered if “Douglas” and “Connie” were going to be able to make it through their troubles and it made me appreciate my husband and our marriage more. I loved the setting that Mr. Nicholls had this take place in, all over Europe! I loved that Mr. Nicholls didn’t leave the setting in one specific place (i.e. France or Italy), but in multiple locations (i.e. France, Spain, Italy, Denmark, etc.) 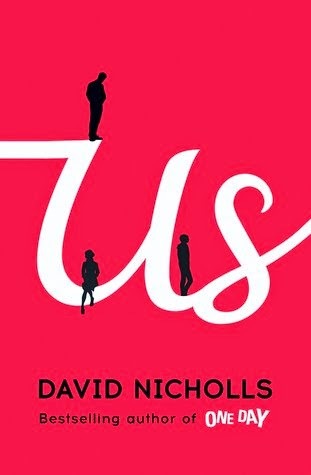 I loved how short Mr. Nicholls made the chapter in Us; there are a lot of chapters, but the way the chapters are set up the reader won’t really even notice them. Although this is a fictitious story I felt like it could have been a nonfiction novel as well. I almost forgot at times that it was about made up characters and not about an actual family.